Hans Becherer, chairman and CEO of Deere & Co. from 1990 to 2000, died Oct. 6. The former Deere & Co. chairman who led the agriculture giant into record profits throughout the 1990s has died. Hans Becherer passed away Oct. 6 in Colorado, according to family friends. “Hans Becherer led Deere & Company during a time of significant growth and financial success. He is credited with expanding Deere’s international operations, broadening the product portfolio, and strengthening Deere’s global leadership in agriculture. Becherer is survived by his wife, Michele; daughter, Vanessa; three grandchildren; his sister, Ruth, who resides in France. Joe Taylor, head of the Quad-Cities Convention & Visitors Bureau, remembered Becherer Tuesday as a central figure in the redevelopment of Moline's downtown, beginning with Deere's donation of land for The Mark of the Quad-Cities, now iWireless Center, which opened in 1993. Another key development that brought the downtown back from deep financial struggle was the opening of the John Deere Commons in 1997, which now is one of Illinois' top tourist destinations. "I remember Mr. Becherer challenging the Quad-Cities, setting the tone for where we focus now as a destination," Taylor said. "He knew today's workforce could be wherever it needed to be. "During his tenure, there was a whole lot going on in a very positive way." According to his biography on the Deere & Co. website, Becherer started with the company in 1962 after earning an MBA at Harvard University. He worked in marketing and management in Europe until the 1980s. He led worldwide Farm Equipment and Consumer Products divisions. In May 1990, he was elected chairman and CEO of Deere & Co. Under Becherer's leadership, Deere's lawn and garden sales topped $1 billion for the first time. "In 1997, Deere & Company began a long-term relationship with the Professional Golfer's Association, providing tournament sponsorship for the annual John Deere Classic. It also became the PGA tour's official golf course equipment supplier, providing equipment for the tour's Tournament Players Club courses. "With the opening of the John Deere Pavilion in Moline, Illinois, in 1997, John Deere became a major player in the area's tourist industry. The Pavilion, with equipment displays and interactive exhibits, is a popular tourist destination. "In 1999, Deere & Company posted worldwide net sales and revenues of $11.7 billion and net income of $239 million." • He was a native of Detroit, Michigan. • He joined Deere in July 1962, following graduation from Trinity College and the Harvard Business School and two years of military service. • The early part of his career was spent primarily in Europe, where his roles included being territory manager, head of the Swedish sales branch and general manager of John Deere Export in Mannheim. • In 1973, he returned to Moline as director of export marketing. He would later hold positions as senior vice president of overseas farm machinery and consumer products, then executive vice president with worldwide responsibility for those businesses. 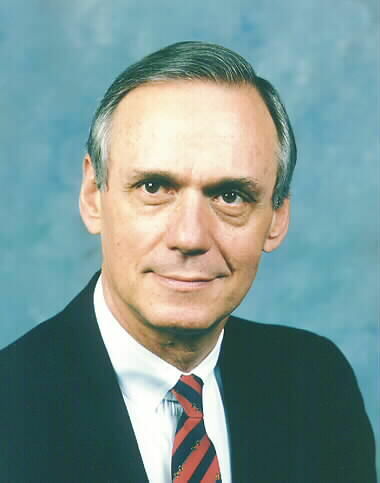 • In 1987, he was named president and chief operating officer, a year after joining the company’s board of directors. • He succeeded Robert A. Hanson as chief executive officer in September 1989 and assumed the role of chairman the following year. He retired as a Deere employee and board member in 2000. • As Deere’s seventh chief executive, Becherer led the company during a time of significant growth and financial success. • Under his leadership, the company expanded its presence in Europe, Asia, and South America and launched sweeping initiatives to improve quality and business processes. • Becherer stressed the importance of teamwork and the value of multi-functional teams working toward a common goal. • He is credited with expanding Deere’s international operations, broadening the product portfolio, and strengthening its global leadership in farm machinery. • Deere extended its record of responsible corporate citizenship during Becherer’s tenure. He was a driving force behind the extensive revitalization efforts that took place in Deere’s hometown of Moline starting in the 1990s. • A prominent figure in business circles, Becherer served on the boards of directors of Schering-Plough, J.P. Morgan Chase and Honeywell International.